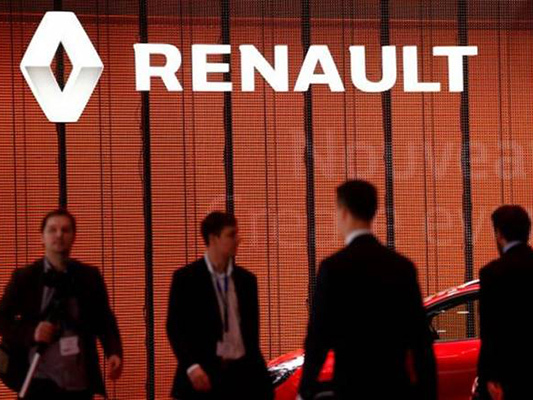 French media outlets reported that Iran and the French car manufacturer Renault have penned an agreement for restoring their cooperation in automotive industry. According to a report by IRNA, as translated by IFP, Iran has opened a new chapter in cooperation with France’s automotive industry as Industrial Development and Renovation Organization of Iran (IDRO) inked an agreement with the French auto-maker Renault in 2016 Paris Motor Show. The agreement was signed as Iran’s Minister of Industries, Mines, and Trade Mohammad-Reza Nematzadeh and Carlos Ghosn, the CEO of France-based Renault, were attending the show. Based on the deal, Renault is supposed to build a factory in Iran with the capacity of manufacturing 150,000 vehicles per year. The deal came after PSA Group, the French rival of Renault, on June 21 signed the final agreement with its “historic partner”, the Iranian auto-maker Iran Khodro Company, to produce Peugeot cars. Car Industry has grown considerably in Iran after the lifting of international sanctions following the nuclear deal between Tehran and world powers. 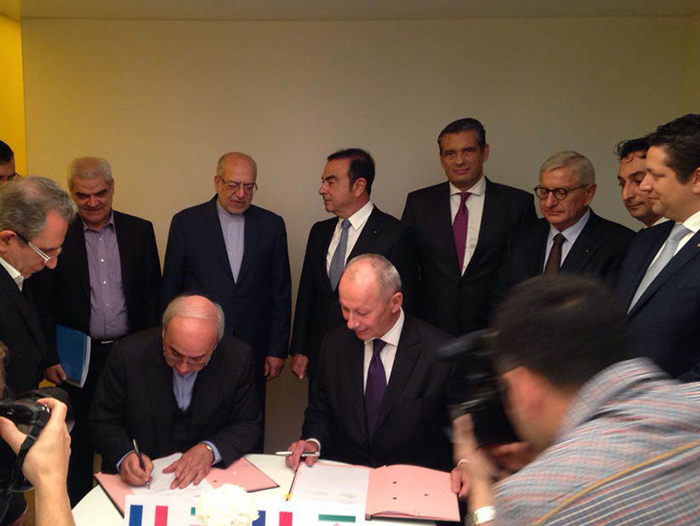 After the landmark nuclear deal in July 14, 2015, known as JCPOA, and before its implementation, authorities from around 100 French companies travelled to Iran in the first visit by the French Business confederation, commonly known as MEDEF, in August last year. The United States Senate saw France as “the main loser due to sanctions against Iran” and announced that the trade turnover between the two countries has dropped from €4bn in 2004 to €500m in 2013. Therefore, France’s share of Iran’s market suffered a major decline from 7 to 1 percent.